The Visual Arts Program seeks to develop and nurture the creative potential of our students. In the early years of learning, creative process is encouraged over the product. 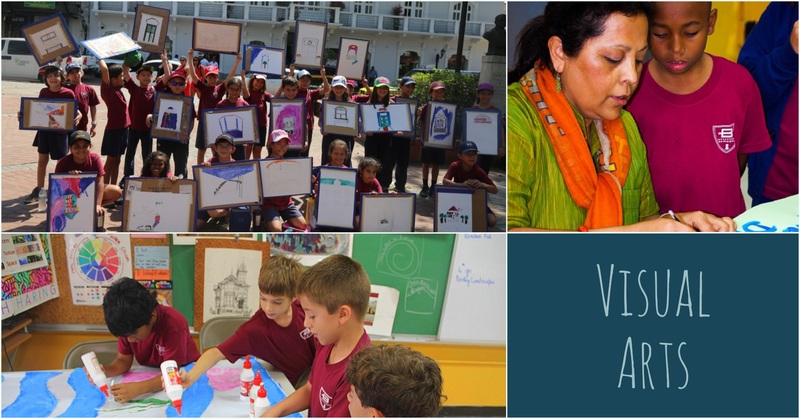 Children learn to collaborate, explore new media, become visually aware and freely create in their own way as they become critical thinkers, designers and problem solvers of the future. Art and culture is the focus of studio projects that is central to history, art and design. Students are guided through the Elements and Principles of Art, drawing and painting, ceramics, hand-building with clay, puppetry, 2D and 3D concepts while exploring various techniques and learning new skills. Visual art curriculum is aligned to STEAM and core curriculum in which students have an opportunity to make digital videos and experiment with building. They also learn about Master Artists of the past and present, work with community artists: Folk and Contemporary, gain self-expression to write about their art, and be artists in the field while applying skills acquired in class.